This Mom Is Always Prepared! Yesterday, I was sitting in the living room, reading a magazine… when I spotted something “colorful” out the window. …and a patriotic one at that. 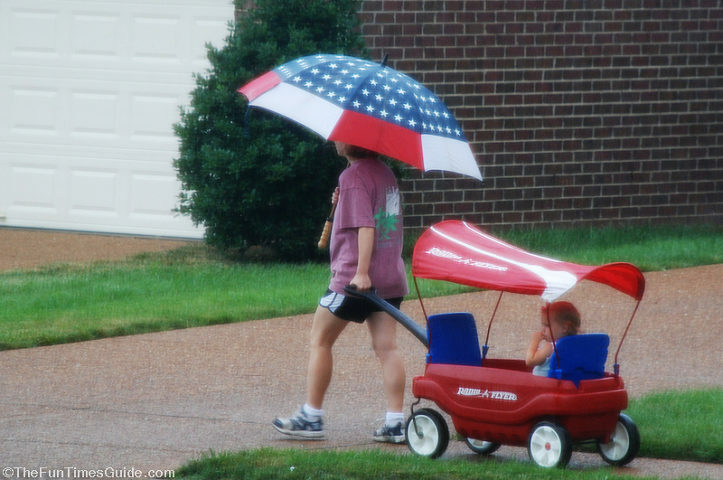 How many moms have a baby-pulling-device with such a super-duper baby umbrella? And a big ‘ol red, white, and blue umbrella of her own to top it all off.